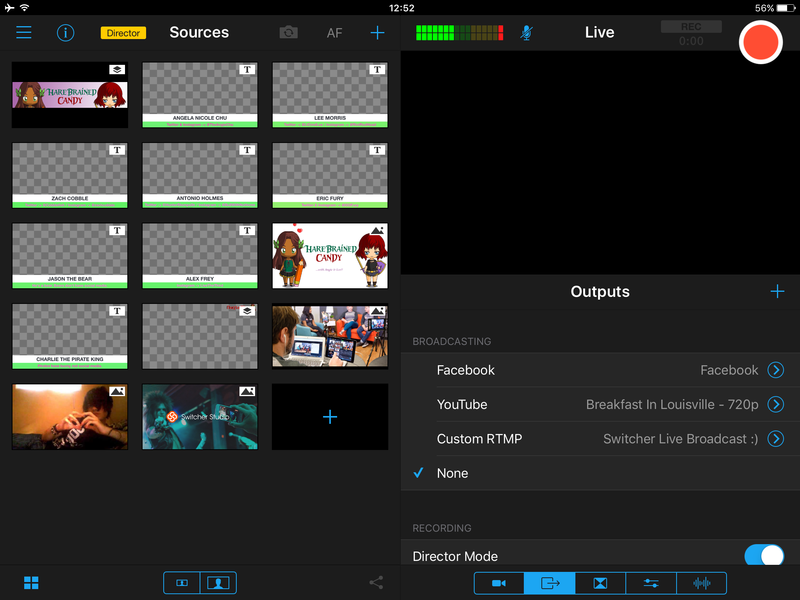 With Switcher Studio, streaming to Facebook LIVE has never been easier! Tap the "+" icon in the Outputs tab, and select "Facebook". Sign-in with your Facebook account information. 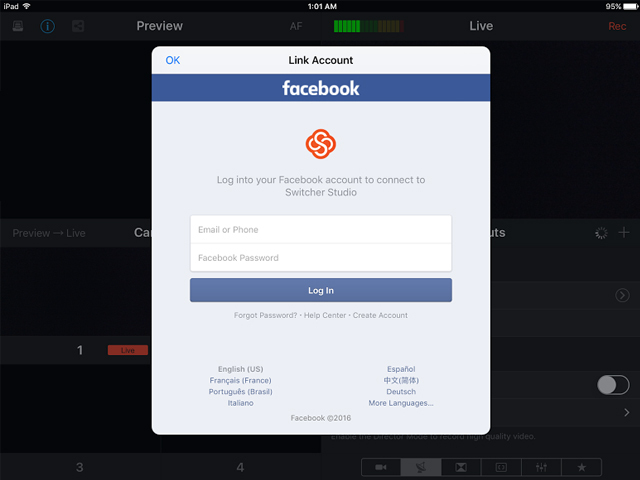 Allow Switcher to link with your Facebook account. Select the category of stream you want (i.e. Wall, Page, Group, or Event). Add a title and a description for your event. 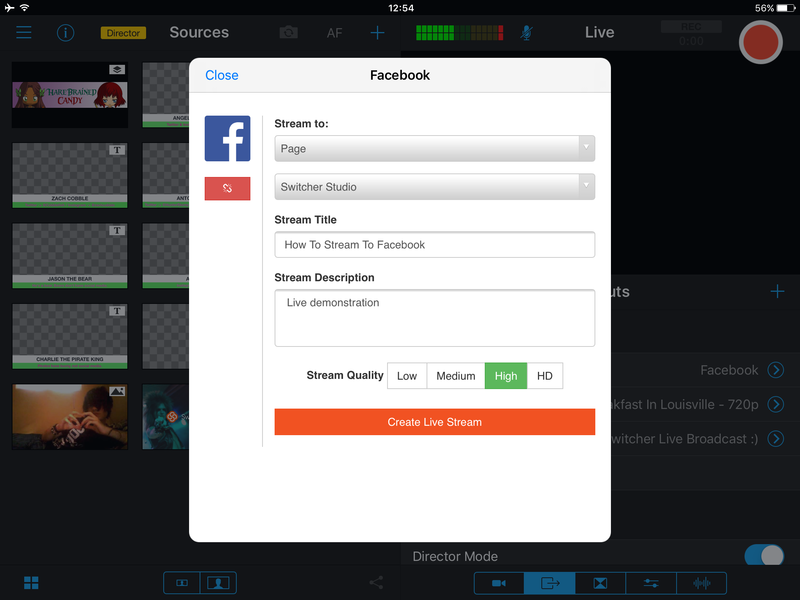 Tap the “Create Live Stream” button. A loading message will appear to indicate info has been saved. 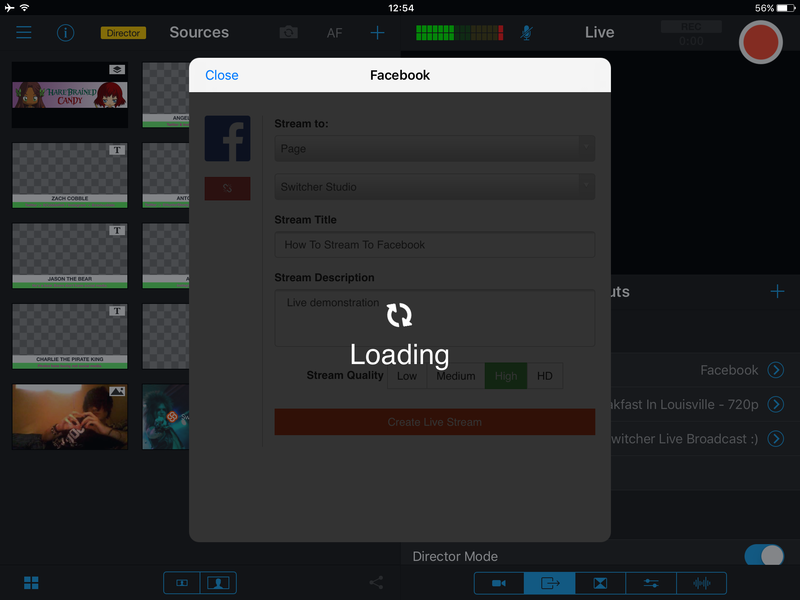 Select “Facebook” under the Broadcasting section. 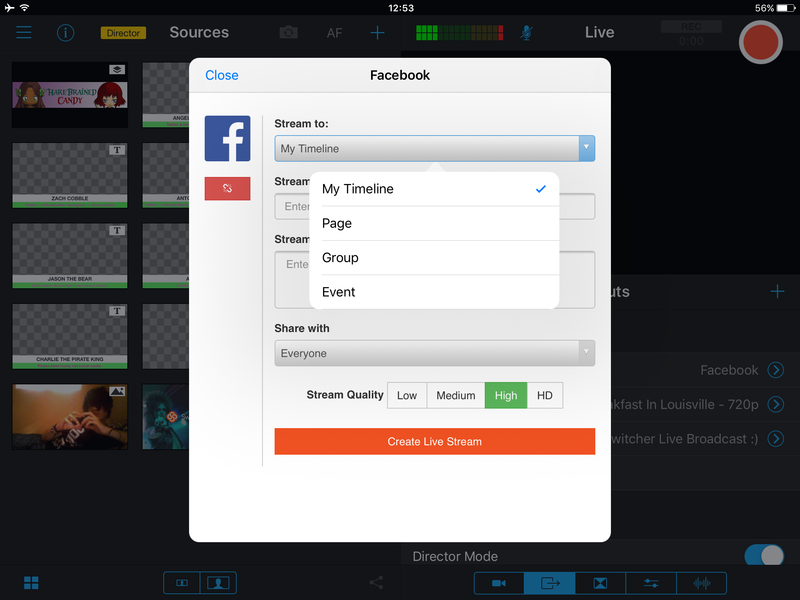 Tap the ">" icon to create a new stream or change the Facebook destination to a different category. 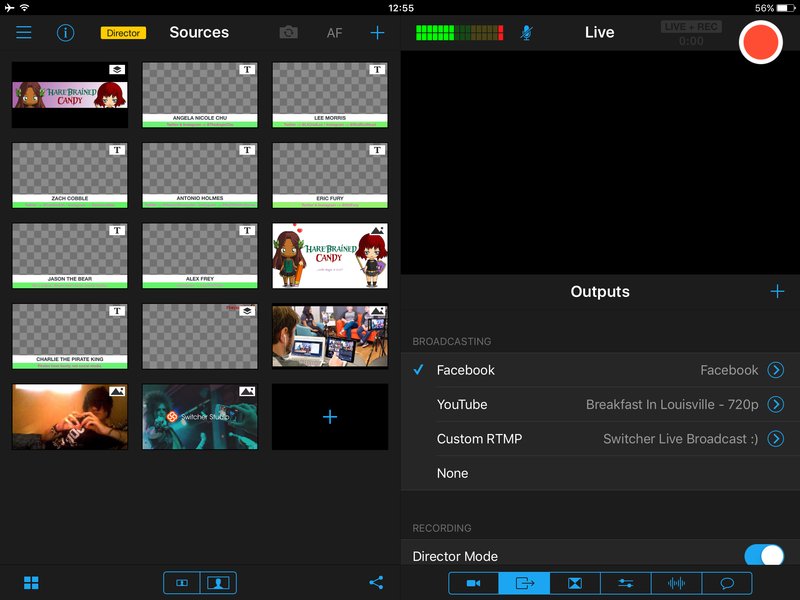 Tap the big red button in the top-right corner to go live!